Henry Wadsworth Longfellow's poem, The Three Kings (1878) is a beautiful traditional poem for the holidays. 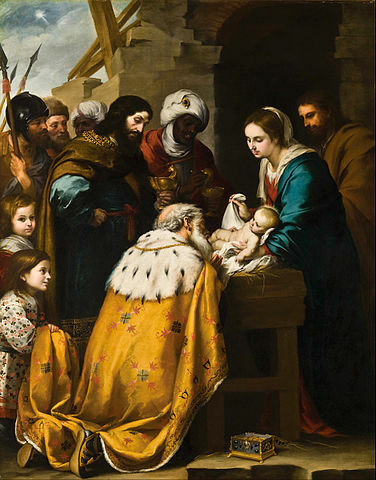 Featured illustration, "The Adoration of the Magi" by Bartolome Esteban Murillo. You might also enjoy Longfellow's poem, Christmas Bells , also very festive for the holidays. Consider reading, The Gift of the Magi to accompany this poem. You might also enjoy H.P. Lovecraft's Christmastide . Also, check out our selection of Christmas Stories. Add The Three Kings to your own personal library.